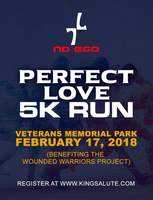 The No EGO PERFECT LOVE 5K RUN is THE MOST INSPIRATIONAL 5K ON THE PLANET, here we demonstrate and encourage participants to receive, embrace and share God's unconditional love. The annual event takes place on valentines weekend at the beautiful Veterans Memorial Park. The course is fast and flat; It starts and ends at the veterans memorial; the centerpiece of the park. Enjoy the sights and sounds of screaming fans cheering you on and lively music that makes you want to dance the course away. Stay for the giveaway, there will be lots of prizes and surprizes, no one will leave empty handed. Come share your love by running/walking with, in honor of or in memory of a loved one on Valentines weekend. The Event is hosted by the King Salute Foundation and is open to participants(pets included) of all ages and fitness level. 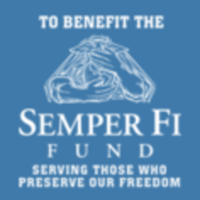 and empower injured service members by providing programs and services that meet their needs. The Young Boss Workshop: An After School program that teaches children life skills through entrepreneurship by helping them Discover, Develop and Deploy their gifts to the world. 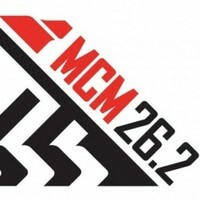 The No EGO PERFECT LOVE 5K RUN is THE MOST INSPIRATIONAL 5K ON THE PLANET, here we demonstrate and encourage participants to receive, embrace and share God's unconditional love. we are looking forward to seeing you there. 3.) 1K KIDS FUN RUN BEGIN 5 MINUTES AFTER LAST 5K PARTICIPANT CROSSES THE FINISH LINE. Come share your love. Could you be LOVE and be LOVED? Be there to find out.